There are thousands of healthy foods on this planet AND there are also thousands of unhealthy choices. You can’t eliminate every bad food at once so I’ve list the top ones to beware of! 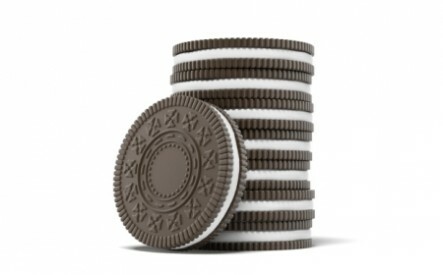 Oreos - the most popular cookie brand is North America is not popular with your body. Oreos may be as addictive as cocaine! Eating the cookies activated more neurons in the rat brain pleasure center than drugs like cocaine. – Connecticut College study. 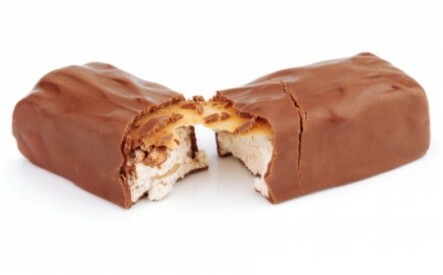 Snickers bar: the most popular bar in North America but deadly. -296 calories. A bar a day will add 31 pounds in one year. Sugar is not a food! It depresses your immune system, is full of fattening calories, has no nutrients and has been found to damage your brain is just one week. Solution: Use a good stevia. Also coconut sugar is a low glycemic sugar. 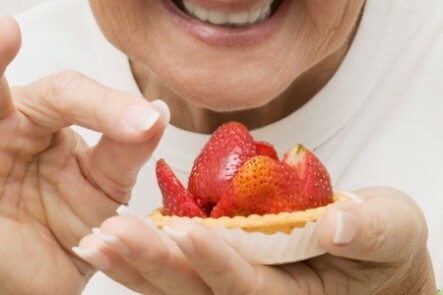 Read my 7 Tips to Stop Sugar Cravings. That fresh look may be the result of lots of chemicals. They are drenched in deadly pesticides and fungicides and always near the top of the list of the Dirty Dozen. “The workers wear these suits to protect themselves from the dozens and dozens of known dangerous pesticides applied to strawberries. When I saw this, I thought to myself, if this is how berries are grown, I don’t really want to eat them anymore.” said Kenner while filming Food Inc. If you don’t care about your health, do it for the farmers! 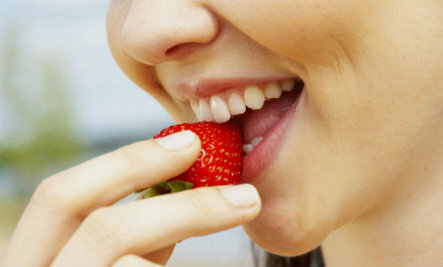 Solution: Grow your own organic strawberries or buy organic strawberries at a reasonable price when in season. If I cannot afford organic strawberries I just do not eat them and choose one of the many other Powerfood fruits like raspberries, apples, mangos and bananas. 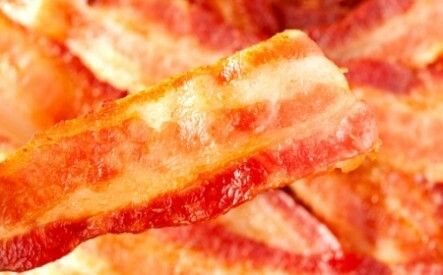 That bright and cheery look of bacon comes from the nitrates and sweeteners. Bacon is loaded calories and 69 percent of those calories in bacon are bad fat. Half of that fat is saturated. One ounce of bacon contains 30 milligrams of cholesterol. Cured with sugar, high fructose corn syrup, propylene glycol, sodium phosphates, maple syrup, sodium erythorbate, natural and artificial maple flavor, corn syrup, caramel color, sucralose, and sodium nitrite (label ingredients). Is that what your body can deal with? Notice that there are 5 sweeteners in it! The average American eats about 18 pounds of bacon a year. Solution: For that crunch use vegetables or a few nuts or seeds. Your heart and digestive system will be happier. Junk food: just say NO! Addictive. Junk food is filled with flavor-enhancing chemicals that are rewarding to the addict. Chemicals like MSG, high-fructose corn syrup, and aspartame are all highly-addictive. MSG excites the brain so much that it causes neurological brain damage but because it tastes so good, people keep eating it. Effects memory! 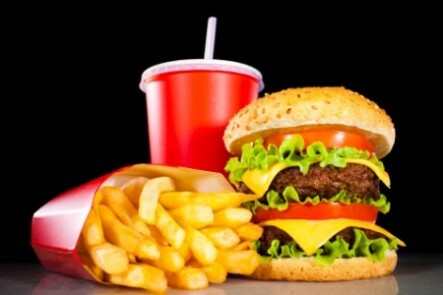 Healthy people who ate junk food for five days in a 2011 study had impaired reaction times. – American Journal of Clinical Nutrition. Gain 56 pounds this year eating one Big Mac a day. (197,000 calories). One fast food meal will have all of the calories you need for a whole day! Do You Want Beautiful Skin? Cameron Diaz won her battle with acne by giving up junk food, the Sun reports. “I used to live on processed fast food. I drank a ton of soda and ate greasy, cheesy foods constantly.” says Cameron Diaz who is considered one of the most beautiful women in the world. You think you are being smart by drinking diet soda, but this also causes weight gain. Why: More empty calories and health destroying additives. Obesity is on the rise due to Diet soda! Yes, it is true. Drinking two or more cans a day increased waistlines by 500 percent. – University of Texas Health Science Center study found. Kidney problems caused due to artificial sweeteners in the soda when drinking more than two sodas a day. 11 year Harvard Medical School study of more than 3,000 women. 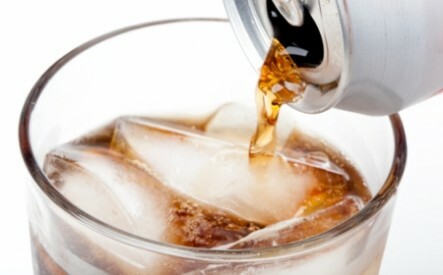 Strokes and heart disease were found to increase with a diet soda every day. – 2012 study found. Solution: Drink more water or fresh juice, lemon water, cold herbal fruit tea sweetened with stevia or a healthy punch made with sparkling mineral water. If you want to learn how to effortlessly prepare and maintain a super healthy diet that is sugar and gluten free – check out one of my online trainings. Good reminder!! Thanks so much! !